All the banknotes in this category are genuine real bank notes (not reproductions) unless otherwise noted. Banknote Regular Set of 1000 different world banknotes, AU, AU-UNC, UNC. Ships in about 3 to 4 weeks. This is a pre-order product that needs to be assembled. All sets are fixed sets and can not be customised. 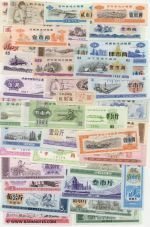 Banknote Regular Set of 100 different world banknotes, AU, AU-UNC, mostly UNC. This product is in stock and is available to ship. Banknote Country-Set of 100 different countries banknotes, AU, AU-UNC, UNC. Banknote Country-Set of 150 different countries banknotes, AU, AU-UNC, UNC. Banknote Regular Set of 2000 different world banknotes, AU, AU-UNC, UNC. Banknote Country-Set of 200 different countries banknotes, AU, AU-UNC, UNC. ATTENTION: Ships in about 3 to 4 weeks. This is a pre-order product that needs to be assembled. Banknote Regular Set of 300 different world banknotes, AU, AU-UNC, UNC. Banknote Regular Set of 500 different world banknotes, AU, AU-UNC, UNC. Banknote Regular Set of 50 different world banknotes, AU, AU-UNC, UNC. Banknote Country-Set of 50 different countries banknotes, AU, AU-UNC, mostly UNC.